Brand New Over-The-Shoulder Video Series On How To Quickly & Easily Launch Your Youtube Live Streaming Today. Why Live? The benefits of streaming a live video include preferential treatment in search, plus unmissable notifications to your followers that often bypass the dreaded ‘algorithm’. 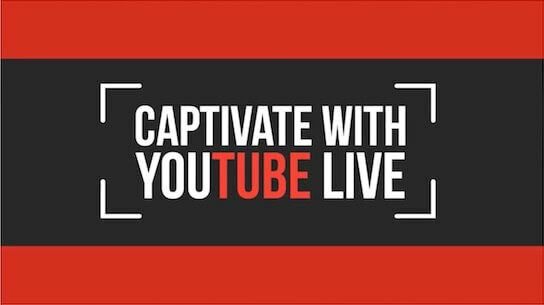 On March 20 2018, YouTube launched web browser live-streams, a tool that allows users to broadcast live from a browser so you don’t need expensive cameras or streaming software. How to get started with Youtube Live. Learn how to create your first broadcast and which features to select when doing it. Learn how to work with the settings when broadcasting. How to quickly and easily schedule your live event. How to generate your link so you can invite people to your scheduled event. How to broadcast from your desktop OR your mobile device.